Chemical Peels are the perfect skin treatments to add to your portfolio of aesthetic procedures. Relatively quick and easy to administer, these popular treatments offer excellent solutions to a wide variety of skin conditions – from anti-ageing to scarring. But they are not without risk and it is therefore important that you can assure your clients the highest standards of training and patient care have been trained into your practice. And not all products and procedures are the same. For severe skin conditions such as extreme pigmentation stronger chemical peels are required and that involves an advanced level of training and qualification. It is essential that you seek the right training to build on your knowledge and experience on the treatments you are keen to offer. At MATA Courses we offer the best chemical skin peel training courses for aesthetic practitioners and health care professionals. The theory component of the course is carried out on our online resource prior to attending. Whos is the Course for? At MATA we separate chemical peel procedures training into two levels in order to ensure aesthetics professionals administer only the correct type of treatment for the skin condition or objective. The Foundation Level is the standard training course for milder skin complaints or appearance improvements such as anti-ageing. The Advanced Level is necessary if you wish to offer chemicals peels as a solution for more severe skin conditions such as scarring or deep pigmentation. In order to enrol on the Advanced Level you will need to have a greater understanding of skin anatomy and therefore a medical background with proof of qualifications is needed. Using superficial and medium depth chemical peels, AHA and TCA peels. Our advanced level skin peel training course is for doctors, dentists and nurse prescribers only and will include administering deeper chemical skin peels for more severe pigmentation and scarring. These peels usually require skin preparation for the patient and down time following the treatment. You will receive a certificate of attendance at the end of your training day, provided your tutor considers you have clearly shown an understanding of the procedure and demonstrated appropriate competencies throughout the day. If you already have NVQ Level 3 or equivalent, you can take the course. This is typically aesthetic professionals and beauty therapists. But as many healthcare professionals such as doctors, dentists, nurses and dental nurses are considering a career diversion towards the aesthetics world, the course is also suitable for them. Although qualified to a high level, these professionals will need the depth of knowledge and practice to conduct chemical peel procedures safely and confidently. Are chemical peels complicated to learn? No, they are no more difficult than other forms of aesthetic procedures. But it is essential you learn about skin anatomy and the different kinds of chemicals as well as the physical application methods. Safety and reactions to the serums is probably the most important feature of the training, but there is a lot you will learn that will be of value to your aesthetics practice. For example you will cover: skin anatomy, the types of skin, causes of certain skin conditions such as sun damage. What types of peel do you promote and therefore train to administer? We are not bound to any one brand of chemical peel. We demonstrate the procedures using a variety of products including Neostrata and ZO Skin Health Medical. Certificate of attendance that you can use for client assurance of safety and knowledge standards, this will also be helpful for your indemnity insurance. A package of learning materials you can keep as a “reference tool-kit” to help you stay on track with treatment methods. With your materials will also be useful links for purchasing recommended products. On going support from our team of skin care experts. The chemical Peel courses at MATA are primarily designed for beauty therapists and also for advanced healthcare practitioners who have already achieved industry level qualifications such as doctors, dentists and nurses. The NVQ Level 3 or equivalent is the minimum requirement in order to reach Level 4 in this course. Can I just attend the training sessions? Yes, our courses are training sessions at our London location. Do I need to bring my own insurance to perform the practice sessions? No, the course is covered by insurance for all training aspects. But indemnity insurance is essential for you to be legally compliant when you start to practice on your own. We can help with good insurance providers in this area of aesthetics. How quickly can I learn the subject – from scratch to practicing? The chemical peel is a one day course for classroom demonstrations and hands-on practical application. At MATA we put patient safety as a priority and we therefore do not recommend short cuts or fast track learning. But our courses are efficient and robustly tested so we can assure you that all your educational needs and post training support will be met. 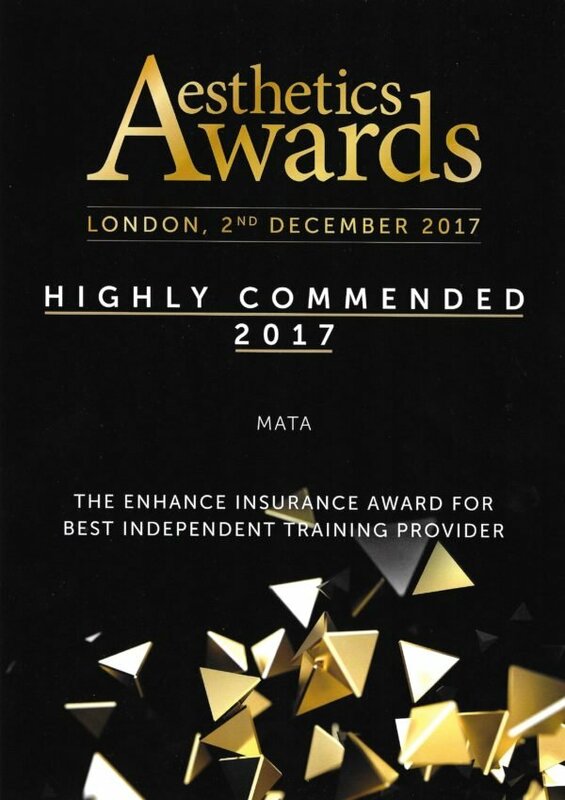 It is not all about compliance, your career will be enhanced with the experience from a MATA course because we believe in the complete learning “spectrum”. From theory to hands-on practice to legal requirements, business integrity is what will make you succeed. 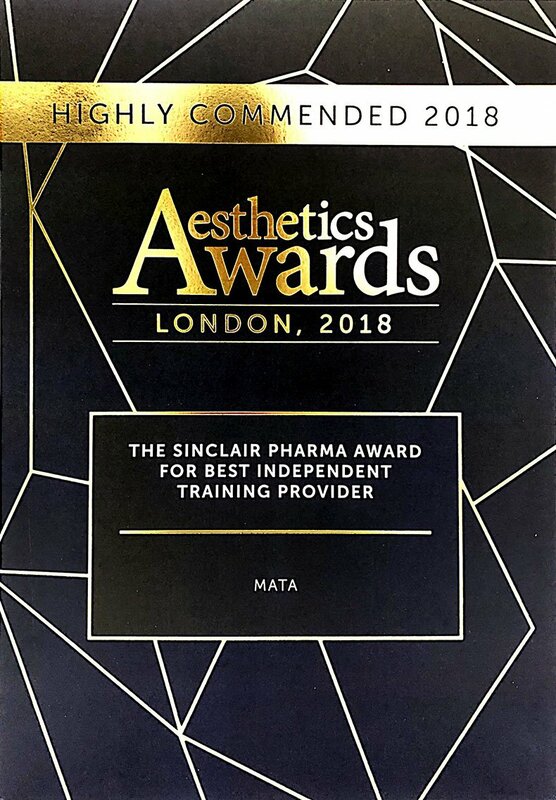 If you are an aesthetics professional, or a healthcare professional considering offering chemical peels as part of your practice you will be on the way to a very rewarding development to your business. Or maybe you are gaining more experience and qualifications to benefit your employer’s suite of procedures, either way, getting the right training is essential to your credentials. In the heart of London’s centre of medical excellence, Harley Street, our MATA training courses could not be better-placed. Our No.1 Harley Street address is just a short walk from Oxford Circus underground station and if you are travelling from further afield, there are plenty of affordable hotels nearby. We will soon be conducting training for chemical peels at our newer location in Burnley, Manchester. Use our enquiry line for more details on this.